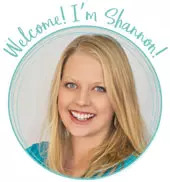 by Shannon Clark in Family Budget | 9 comments | Contains affiliate links. Today, I want to share a tip for not just creating a budget, but for sticking to it by creating a “sinking fund” for your personal budget. 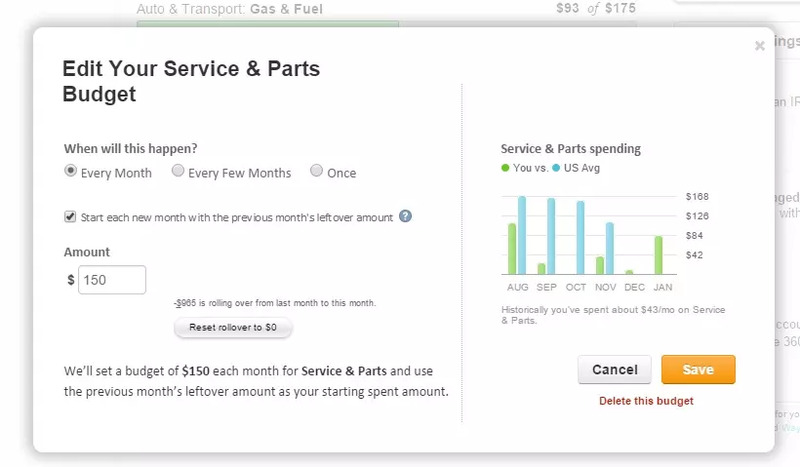 This technique will help you plan ahead for unexpected expenses. Plus, I’ll show you exactly how to manage a sinking fund within your bank accounts and budgeting software! One of the biggest challenges to staying on budget is dealing with all those little extra expenses that seem to pop up. I’m not talking about the big emergencies when the basement floods or you get laid off. No, these are the little costs that always seem to sneak in. It might be the car that needs tires, or that side of beef you want to buy, or the wedding gift for your niece that takes you by surprise. The problem is that these are expenses that fall outside our regular monthly expenses, so it can be easy to forget to include them in our budget. They aren’t true emergencies, but we often end up dipping into our emergency fund, or worse yet using a credit card, to cover them. So, what is a sinking fund? No, it doesn’t have anything to do with sending money down the drain! With a sinking fund, you plan ahead for these expenses by saving a little each month. This way you have all you need for those new tires without borrowing from your emergency fund. 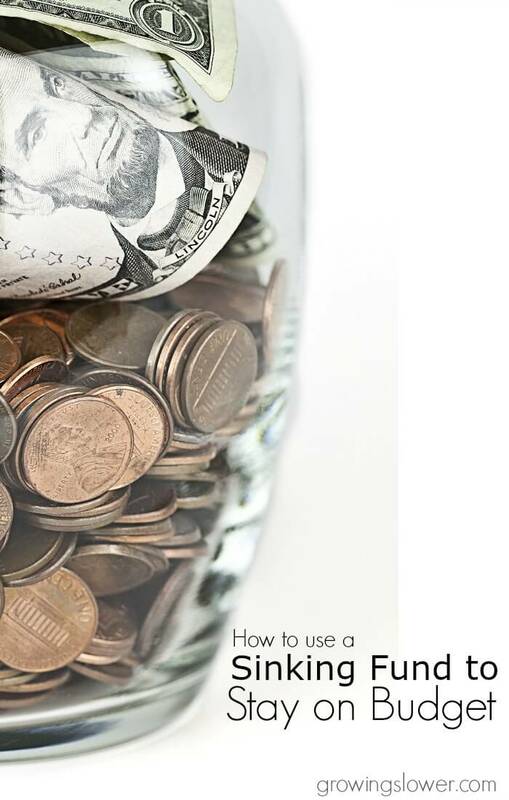 My husband and I keep a sinking fund for those often forgotten budget categories. This practice has made a big impact in helping us consistently stay on budget. 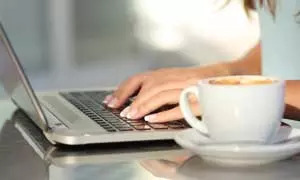 Even once we learned how important it was to use sinking funds to budget for these unexpected expenses, it took several more months to figure out the best way to go about managing all these little pots of savings we had squirreled away. We’ve recently realized that we need to get even more serious about tracking and managing our sinking fund. Up until now we’ve tracked those funds digitally using Mint.com, but they’ve been lumped together, floating somewhere between our checking and savings accounts. We have recently decided that they need a home of their own. In the event that we do have a true emergency or we go over budget for whatever reason, we don’t accidentally use up the sinking fund. We need to be able to count on that money being there to cover our non-monthly expenses. It is also important for us to have a clear picture of how much we have in savings as we work towards building our 6-month emergency fund. I once saw a post from one frugal living blogger who kept something like 14 separate bank accounts to manager all her different sinking funds! But you all know I like to keep it simple! My husband and I keep a sinking fund for 22 of those often forgotten budget categories. There was no way I’m going to manage 22 different bank accounts. So, here’s what we’re doing instead to track and manage our sinking funds. First off, we track each of these funds digitally using Mint.com. When you create a budget for a category that needs a sinking fund in Mint, select the “Every Month” option and make sure to check “start each new month with previous month’s left over amount”. You can see that for this sinking fund we are rolling over $965 from last month and we’ll be adding $150 this month. At the end of the month, any amount from that $150 that was unused will be moved into a separate savings account that holds the money for all our sinking funds combined. We can do this, because Mint helps us track those separately, without actually having separate bank accounts! Alternately, if we needed to spend more than $150 for a big car repair this month, we would move money from our sinking fund into our checking, and this also is automatically tracked on Mint. Our plan is to create a new linked savings account to hold our sinking fund which will be separate from the savings account we already have. This may seem like a small shift, but it is something that will give us both a lot more financial peace. Update: We have now created our separate account for our sinking funds, and I’m using a spreadsheet to track how much needs to be moved in or out of the account each month. It’s working beautifully and has added so much peace of mind to our budgeting! 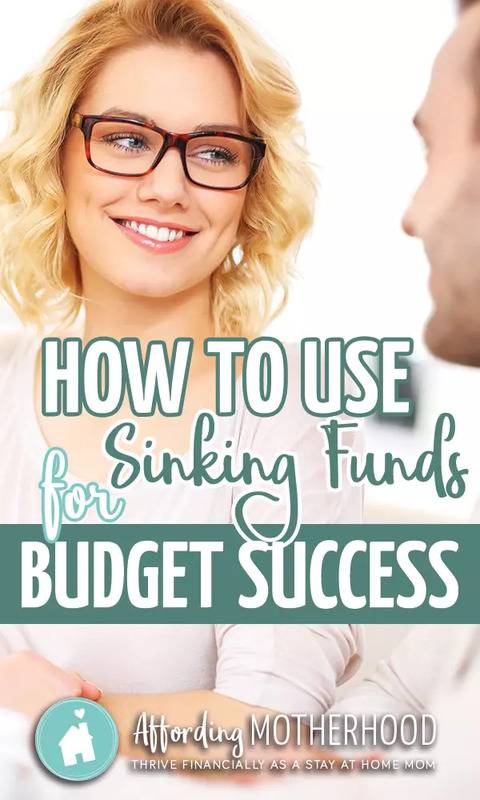 A sinking fund is an excellent idea. Thanks so much for sharing this tip, Shannon. Sometimes it is the small shifts that play a very big role in our financial success. Excellent idea Shannon! I have just started your budget challenge and am learning so much! Thank you for sharing all your tips, it’s taking an enormous amount of stress off my shoulders. Thank you for the tips. I am still trying to work out the details. When you move money from your checking to your savings for each sinking fund, how do you categorize the transaction in Mint. As a transfer, unrelated to the sinking fund categories? Or do you categorize them as part of the sinking fund categories? Or do you hide them from the budget? I think you could do it either way, but I would probably split the transaction and categorize them as part of the sinking fund categories. I hope that helps! best wishes with setting up your sinking funds and budget! We use sinking funds, and love them. We DO keep separate ones for various categories, as well as a general Emergency Fund. Some of our categories include car (repairs, insurance, next purchase), medical/vet, and household repairs and upgrades. We use Capital One 360 and it’s quite easy to manage the various accounts. All we do is transfer our allotted savings each month to the appropriate account and that’s that. If a large expense comes up, we simply transfer the amount required back to our checking account. We also save for Xmas all year round this way. It all sounds overwhelming if you’re just getting started, but really, it’s easy once you’re used to it and makes all the difference in the world to keep winning financially. I love this Kara! Thank you so much for sharing how you manage your sinking funds. It really does make a huge difference to help avoid unexpected expenses. And what a relief it is to be ready when those car repairs or holiday shopping comes your way! This tip makes a lot of sense! Thank you for your post. I am in the process of moving from EveryDollar to Mint. I have been budgeting consistently for almost 1 year and I’m interested on learning more about handling sinking funds with mint. Do you have a video tutorial? That’s awesome that you have been consistently budgeting for so long Michelle! I definitely like Mint much better than Every Dollar. I hope you like it too! I don’t have a video tutorial just yet, but I will be offering a budgeting course that will cover this coming up soon. You can join the waitlist here if you’re interested. It will go over in detail how to budget successfully with Mint.